SCAR Constitution. 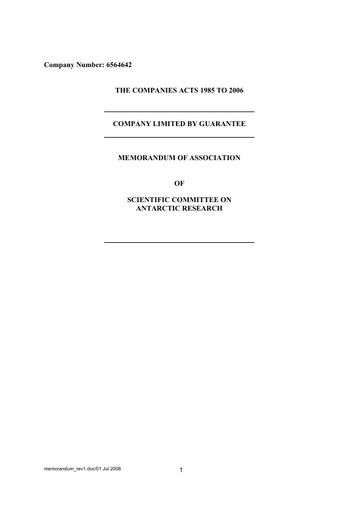 Memorandum of Association. July 2008.